If you've been patiently awaiting new material from Andy Shauf, you're in luck: the songwriter is set to debut new material on a forthcoming fall tour. Shauf will head out on the 19-date trek in September, following an August date in Montreal. 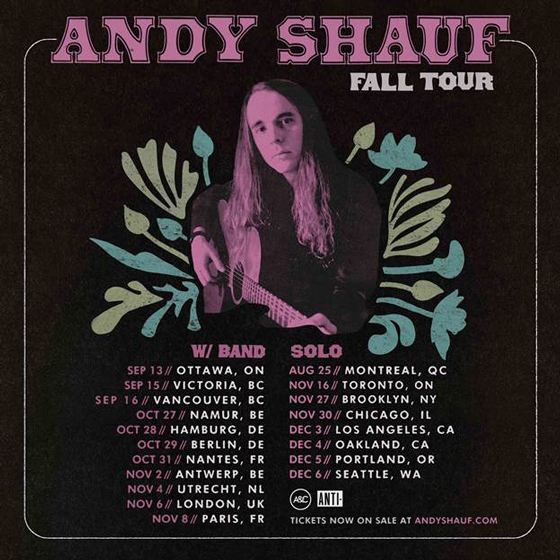 A number of dates, indicated below, will feature Shauf performing alongside a full band, while the new material can be heard in a series of solo performances. Canadian stops on the tour will also bring Shauf to Ottawa, Victoria, Vancouver and Toronto. You can find a complete itinerary below. Shauf last released The Party in 2016. A press release reveals that he has been in the studio at work on a follow-up.